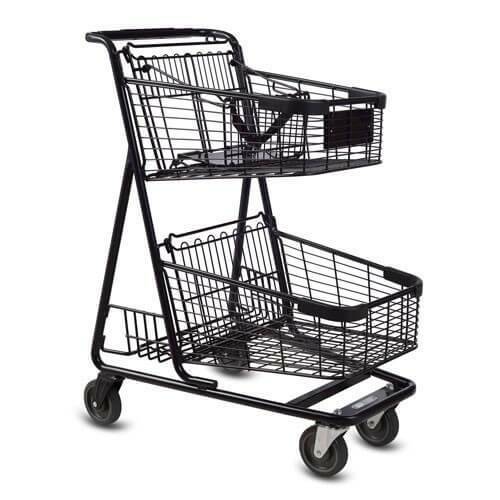 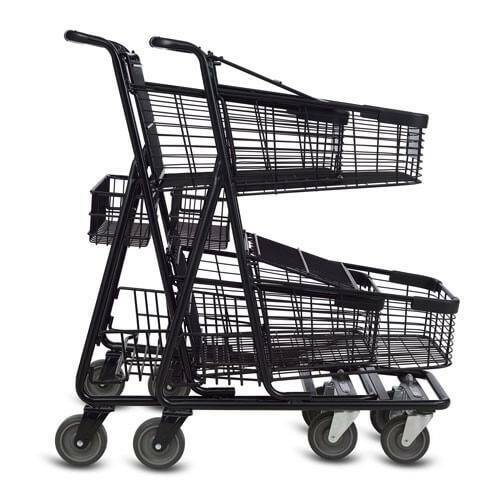 This economy two tier shopping cart is loaded with storage capacity. 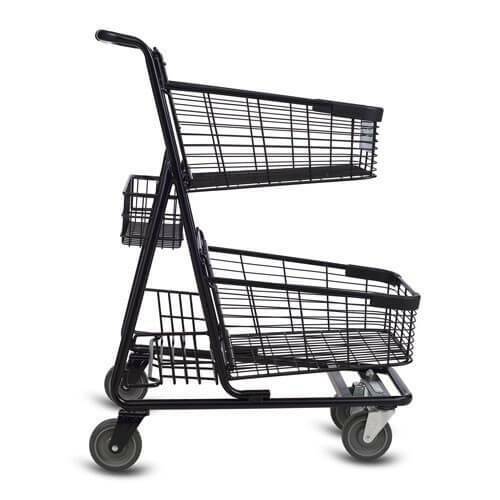 It is perfect for larger convenience stores and as an option for customers at larger supermarkets. 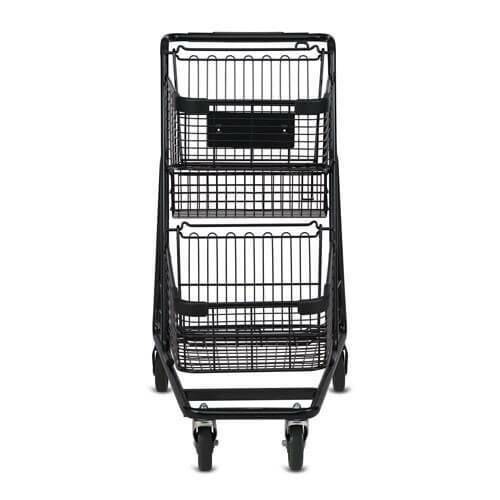 And although it has tons of capacity, it has a tiny foot print that is easily maneuverable and is great for heavily congested aisles. 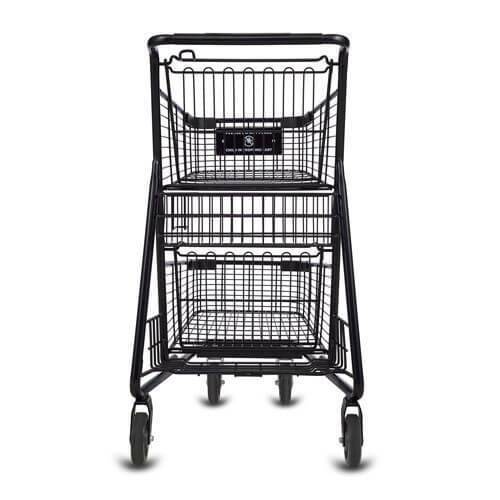 The modern curved look of the baskets is very appealing and it features a purse hook and a built in cup holder in the rear basket as well as an additional tray in the rear. 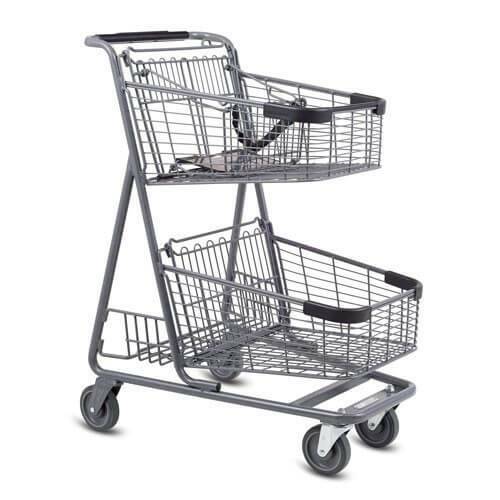 Best of all, this can be ordered with an optional child seat and both the child seat model and standard model nest with each other!